Did you see Ghostbusters this weekend? Or was it just everyone I’ve ever met and also their mothers and their children? The budget for the film came out $144 million, which means that if we want the franchise to continue, they’ll definitely need a continued strong showing. 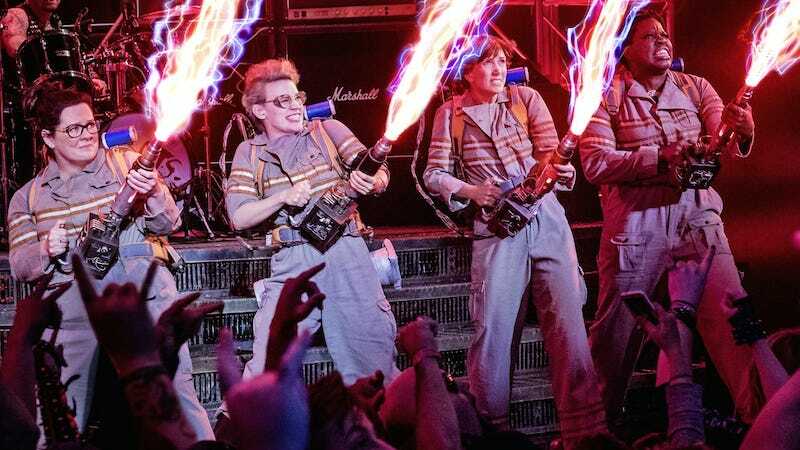 International release has totaled $19.1 million, and Ghostbusters was the number one film in the U.K. and Australia this weekend. The movie had the best opening for a live-action comedy since Pitch Perfect 2, which came out to $69.2 million in 2015. That film, however, cost considerably less to make. As usual, animated films where animals get up to shenanigans continue to dominate. The Secret Life of Pets brought in brought in $50.6 million during its second weekend in theaters, which is utterly absurd. We all know that the secret life of pets is that they stand on the kitchen counter while you’re out of the room. End of movie.